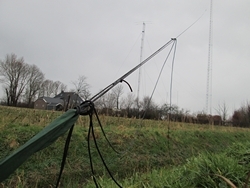 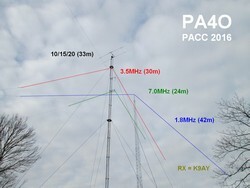 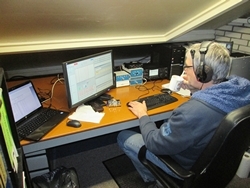 Peter will participate the 2016 Dutch PACC from PA1A location. 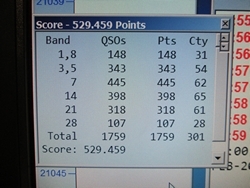 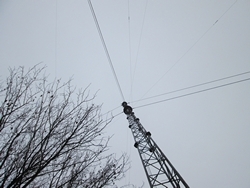 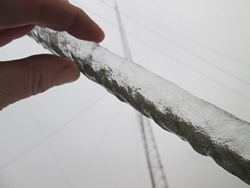 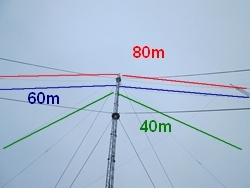 Using wire antenna's for 160-80-40 and a 2 element Yagi for 10-15-20. 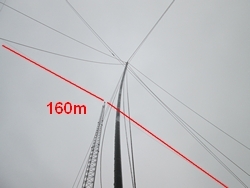 This Yagi is placed @120'' RT#2. 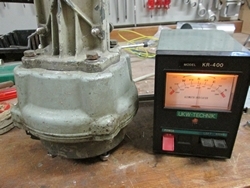 Using a standard KR600. 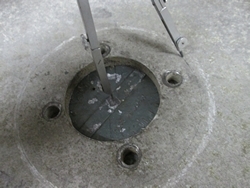 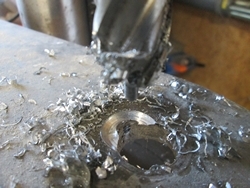 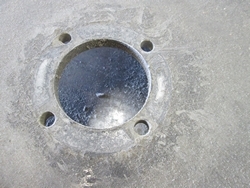 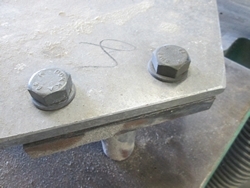 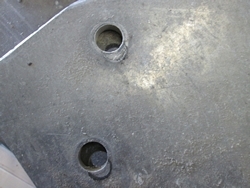 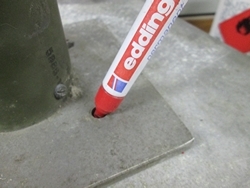 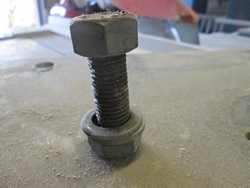 This platform does not fit, therefore some holes has to be re-drilled to 18mm. 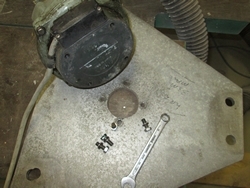 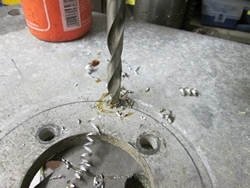 Reaming from 14 up to 18mm at the corect position. 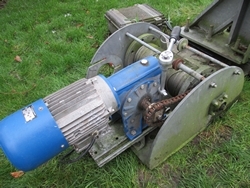 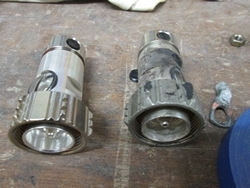 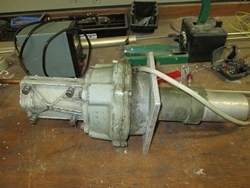 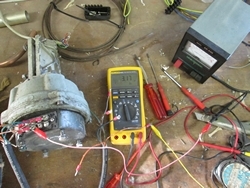 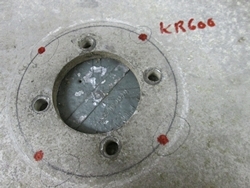 In the middle of this plaform the KR600 rotator is posted. 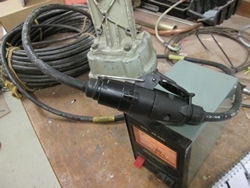 Testing the KR6500 and cable. 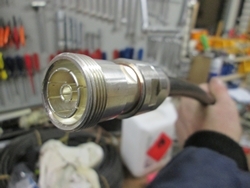 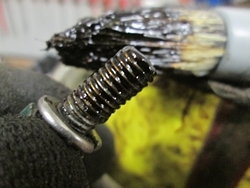 Utilize the inexpensive 7pin car trailer connectors. 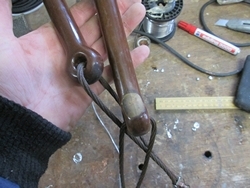 Carry polyester rope through the ginpole tube. 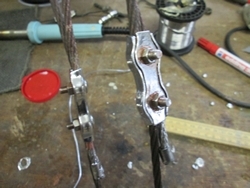 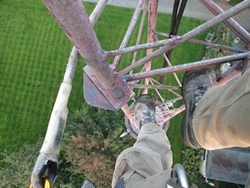 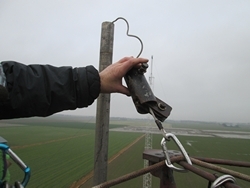 Then attach the rope to the steel wire and by placing the wire trough the pulley the steel wire is ready to use. 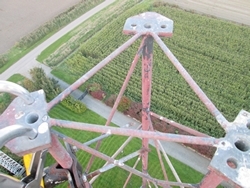 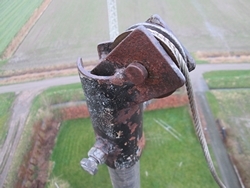 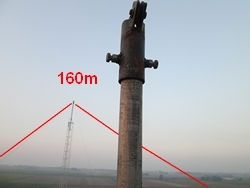 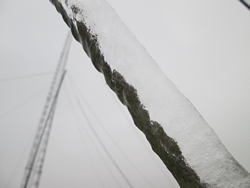 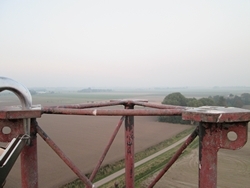 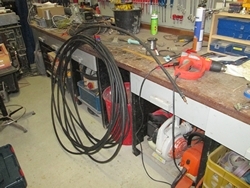 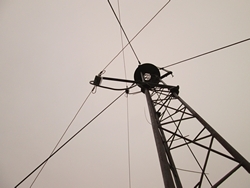 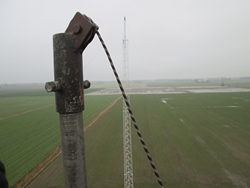 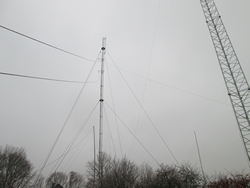 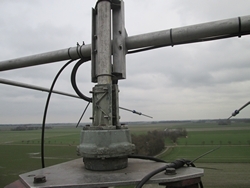 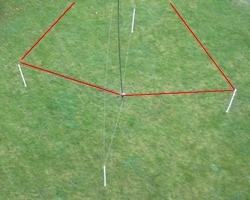 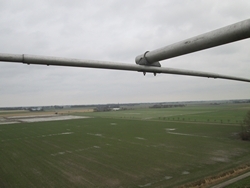 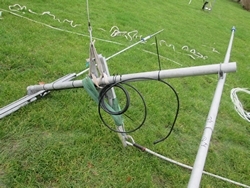 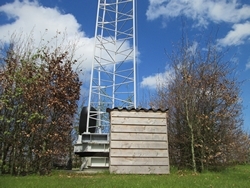 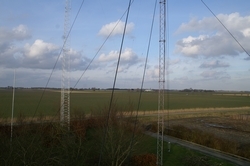 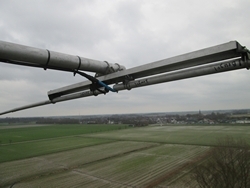 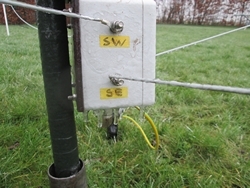 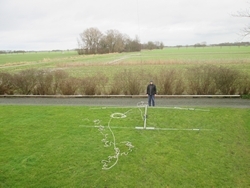 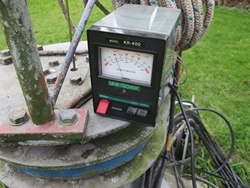 Ginpole with steel wire rope is now ready for lifting the antenna components. 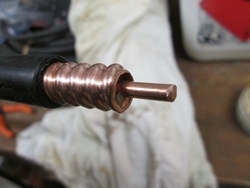 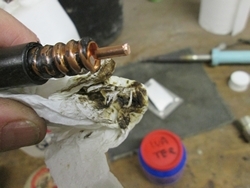 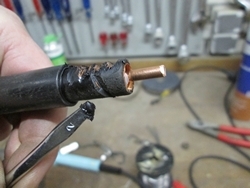 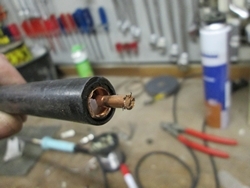 After renewing the 80m dipole I replaced the 40m antenna also with 6mm (0,423") braided copper bronze wire. 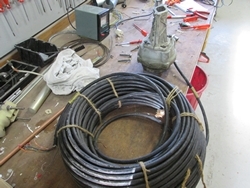 Using 3/16" diameter Dacron rope. 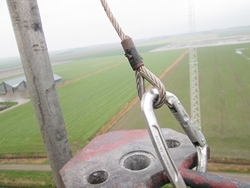 Dacron is a high strength polyester that combines high strength, low stretch and excellent resistance to abrasion, chemicals and weather. 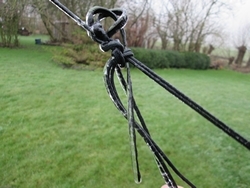 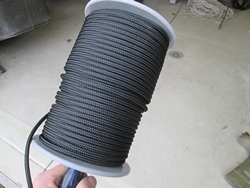 This is a top-of-the-line, double-braided, Dacron rope; it is black UV-inhibited. 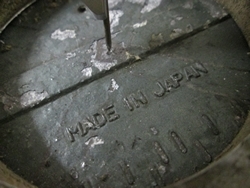 It will not stretch or break down under sunlight. 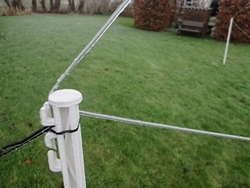 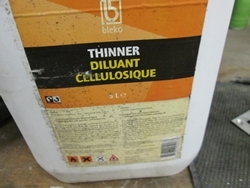 Great for that next antenna project. 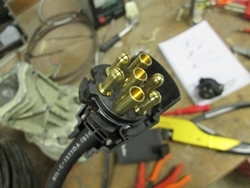 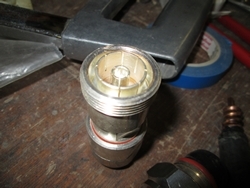 The 7/16 series name derives from the metric dimensions of the connector interface: 7mm OD of inner contact, 16 mm ID of outer contact. 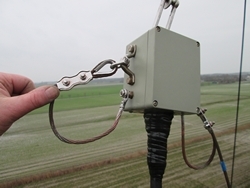 These connectors provide superior performance for both return loss and intermodulation distortion (IMD).